Kasich has spent nearly $5 million in TV ads (all in New Hampshire), and he’s gone up in the polls. 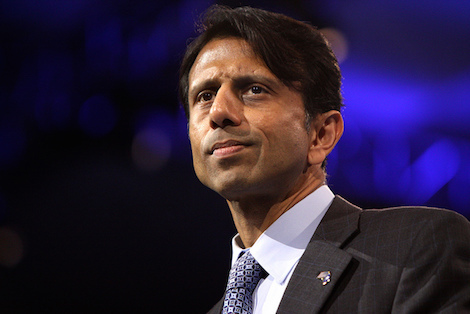 Jindal and his supporters have spent $2.5 million (all in Iowa), and he really hasn’t. In other words: you may think of Bobby Jindal as this right-wing insurgent candidate living off the land Guevera-style, but in terms of his top priority state, he’s actually out-spending most of the field on TV ads, and so far, it’s not lifting him from second- or third-tier. Couldn’t happen to a nicer guy.